1. From Android Pie Jan 2019 update I was getting a nearly daily "pixel is restarting" message and it had not gone away with the Feb or March patch. Android Q seems to have solved that and phone has been rock solid. 2. Airpods not being automatically recognised on Bluetooth - I've had it once but so far most times it is actually picking them up fine as soon as I put them in my ear. 3. Loving the black menus so no more jarring bright white. 4. Love the "estimated time left" on battery in top menu. 5. Seems the battery life is a bit better too but I have no good benchmark to show this. I'm looking forward to the bubbles / chatheads messaging later on but apps will need to support it first. I do foresee some issues going forward with tighter permissions management and my rooting is still not working but I'll try that again on the weekend. 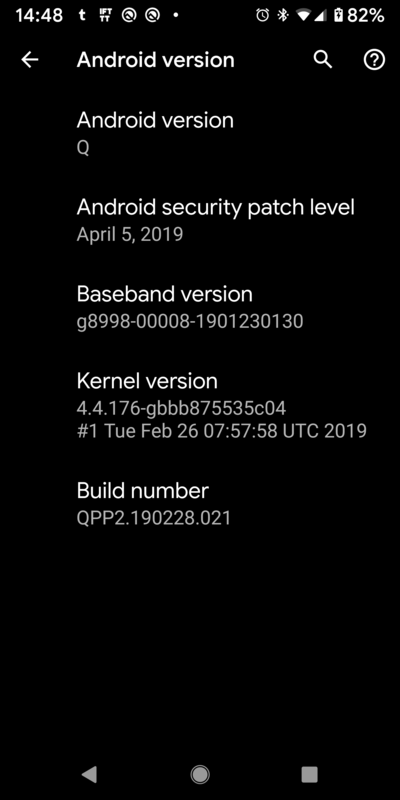 I decided to take the plunge seeing it was Beta 2 and I wanted to see if it cures the odd "pixel is restarting" message I was getting since the Jan 2019 Android Pie update (a few days will tell). I do love the black OS theme throughout although the notifications menu could do with some shading to show separation of notifications. One of my apps QuickPic is reported as not supported in Android Q and won't retain its permissions and folder views, and my Magisk root manager is not creating a patched boot image file for me to use (although it reports the file as written). I'm also seeing LastPass' permissions not working properly but I suspect some of this is due to Android Q permissions being a lot more restricted. I'm re-enabling some of these but let's give it to the May update to settle down. Upgrading without wiping can also create some issues. Mehr Schutz für die Privatsphäre und Support für Foldables: die Highlights der ersten Android-Q-Beta, die für Pixel-Geräte aller Generationen verfügbar ist. 9to5Google noticed four commits on the Android Open Source Project Gerrit about the changes. 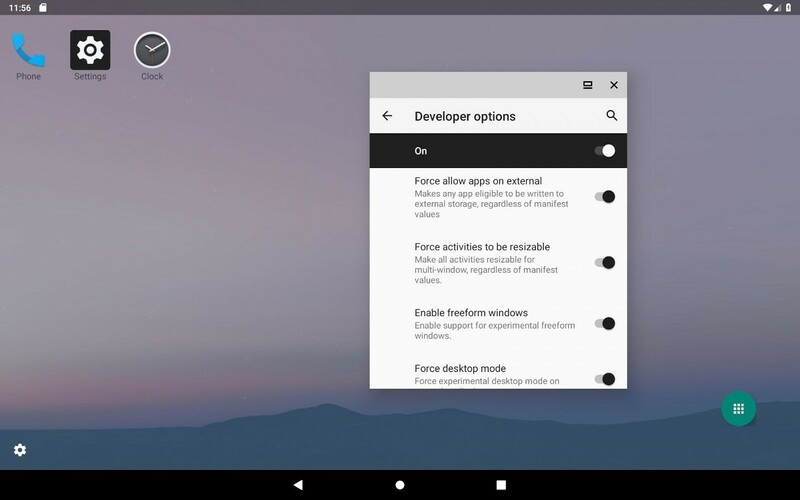 All of the commits are called “Carrier restriction enhancements for Android Q”. 9to5Google reports that after looking at the sources, they could verify that Android Q will let carriers include a blacklist and whitelist of carriers. Starting from the soon-to-be-released version of Android, carriers will also be able to restrict the dual-SIM functionality of the device. They will be able to completely lock out the second SIM slot unless there is a verified (added in the whitelist by the carrier) SIM card in the first one. In South Africa I think all phones are now unlocked and you can freely port your number between carriers. Most carriers (where they provide at "free" phone with the contract, have an option to claw back the pro-rata value of the phone through an early contract cancellation cost. But when I've paid for that phone I should be able to use it anywhere. Personally, I will not take any phone that is carrier locked. If I ever get another phone from a carrier I'll test it in the shop with a different SIM before signing the contract.